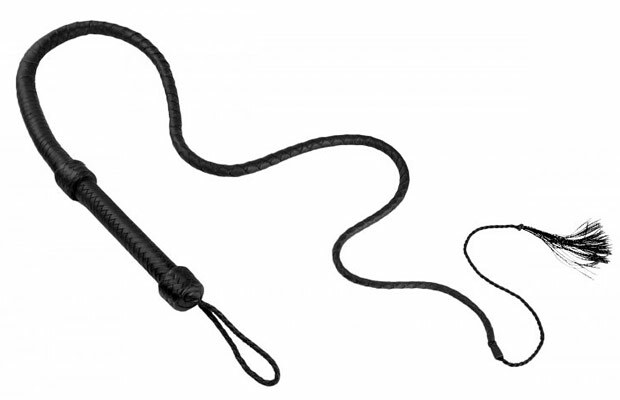 This exquisite leather impact toy is soft, supple, and has the feel of a whip that has already been broken in. The fine plaiting over a solid core and bullwhip handle make up the attractive design, for a timeless look and excellent feel. The 16 inch long braided cracker is removable, so that you may braid your own in after a particularly intense scene.